As NYFW draws to a close, focus shifts to LFW and what lies ahead. However, this year is different, there’s a Tom Ford shaped pit-stop in L.A.
Last year when Tom Ford learned that his #LFW show would take place the Friday before The Oscars, he switched his show venue to Milk Studios L.A. in a bold move, something which no doubt, other designers will follow in future years. Show-goers and fashionistas packed into the huge show space making up the glitziest most A-List FROW ever, Anna Winter, Julianne Moore, Amy Adams, Beyonce, Jay Z, Miley Cyrus with Patrick Schwarzenegger, and many, many more (all wearing custom Tom Ford of course.). The runway was covered with the same super deep white shag-pile carpet as the Sloane Street store, a nod to the luxury we’ve come to know, love and expect from Tom Ford, and the room aesthetic was dark making the white carpet the absolute focal point for the audience. The beauty look was typical of Tom Ford, bold and striking, a pale lip, strong contouring and what he described as “shaggable eyes” also saying that this would be THE beauty look for the season, hair was pulled back off the face. 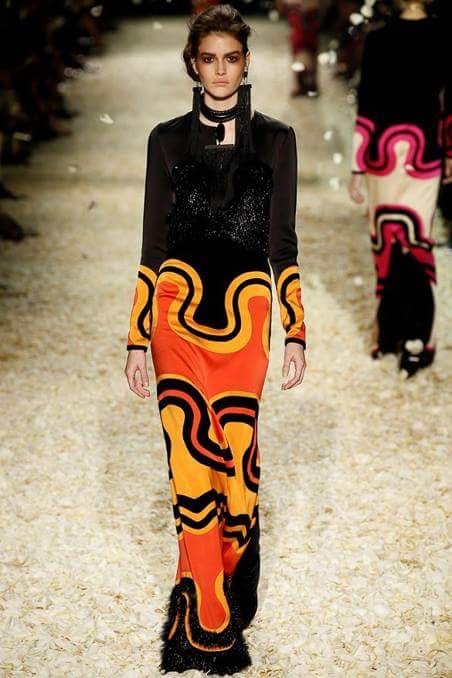 There were several phases to this show, all with a heavy seventies influence, right from the patchwork denim to the Pucci-esque swirls and Missoni inspired zig-zags, leading into what Tom Ford does best; old school glamour. 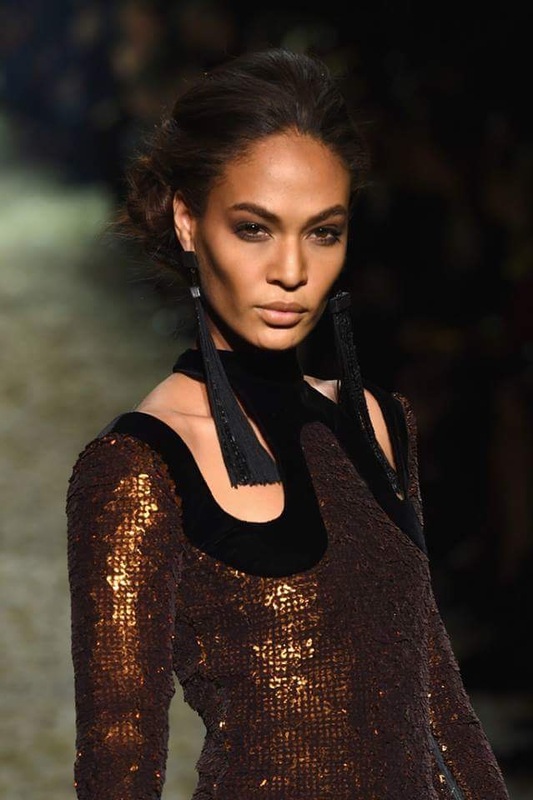 Heavy on the black, models strutted in beaded and fringed gowns which revealed a hint of shoulder and collar bone – a new season fashion erogenous zone perhaps? 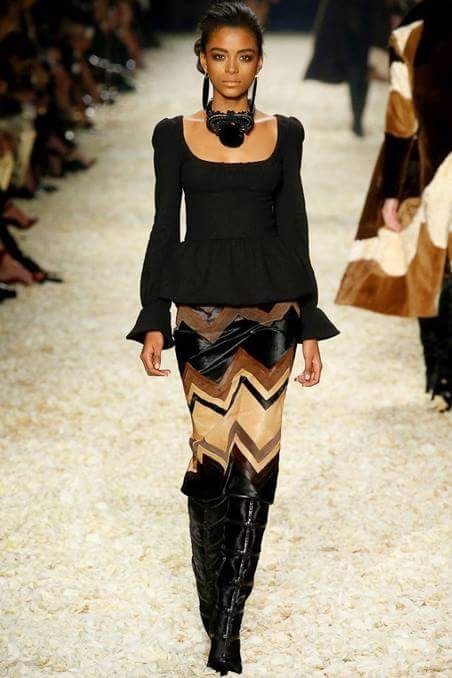 There were knee high boots all over the runway with hemlines meeting the top-line of the boot, reminiscent of they typical Victoria Beckham silhouette. The look was strong and highly covetable, in what has been considered a pretty weak NYFW, this show brought it back, more of a spectacle than a show, and more a talking point for its FROW than it’s frocks, this show gave Fashion Month some much needed edgy glamour and was cheered on and applauded by the FROW to end all FROWs. 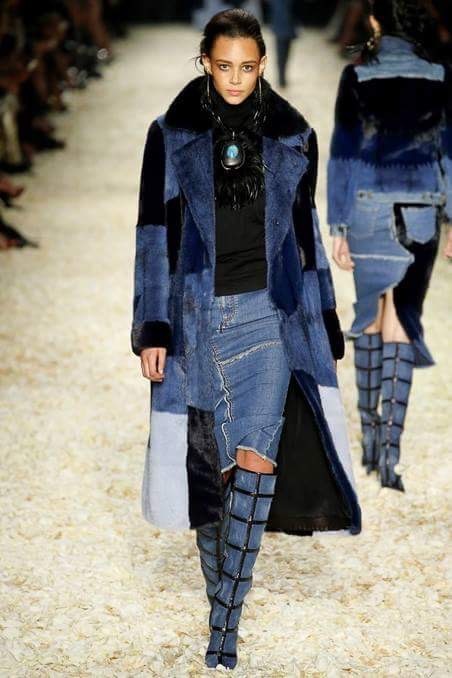 We salute you Tom Ford. This is terrific. How would you like to become this weeks guest blogger for American Pride Magazine? If you would like to be included send this article with an edited version of your favorite looks (no more than 8), along with a Link to your blog, blogging name and a picture of you for the credit posts. Info@americanpridemagazine.com Great job! Of coarse. I’ll email you and if you left me your twitter, I’ll take you as well.